The Resolve.org #GivingTuesday topic for November is “Give Thanks” What are you thankful for this Thanksgiving season? For this topic, I’m re-posting a previous blog post titled: Thankful, Making Jaxon which I wrote last year on Thanksgiving day. It’s a different Thanksgiving today. No plans, no travel, no getting together with family. I think I may watch the Thanksgiving Day Parade and bake something made out of pumpkin and enjoy the sounds and smells of my husband cooking turkey, stuffing and mashed potatoes. It will just be a day for us. 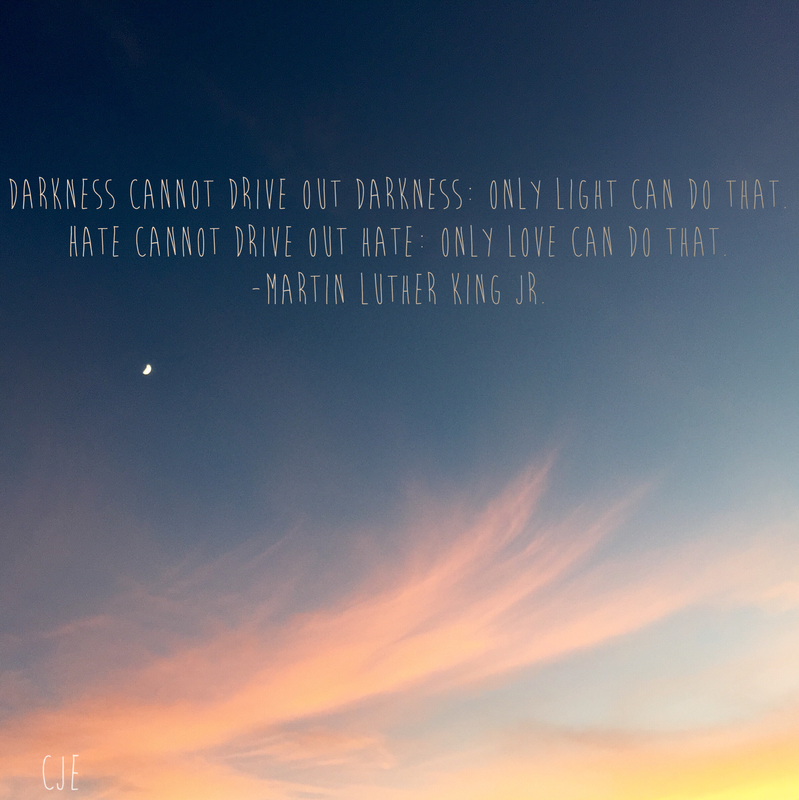 With the events of this week, I didn’t have it in me to put on a brave face and a smile to visit with anyone. It feels better to stay home without any pressure or schedule, plus the dog is happily snoozing next to me. While I sit here watching the pre-show of the Macy’s Thanksgiving Day Parade, I’m reminded of Thanksgiving from two years ago. It was just the beginning of making Jaxon. The 2012 holiday season was our first round of IVF. We launched into the process as soon as we had returned from our honeymoon and not long after celebrating the new year of 2013, we found out it worked on our first try. I was pregnant! Could we really be this lucky? Our first try and it worked? It was incredibly exciting but then so quickly coupled with a random health event that clouded the enjoyment through the first six weeks of the pregnancy. Two days after the embryo transfer I had unusual breast changes that first appeared to be an infection. I went to an urgent care clinic and was treated with antibiotics. Nothing changed. For the next six weeks I went back and forth between my OB/GYN, a breast surgeon and an infectious disease specialist. Since I could not have a mammogram, it was harder to determine a diagnosis or quickly rule out various concerns. We kept trying different antibiotics for a while, with my doctors still leaning toward treating an infection. No change. Then there were scarier possibilities that would not only risk my pregnancy, but my life. 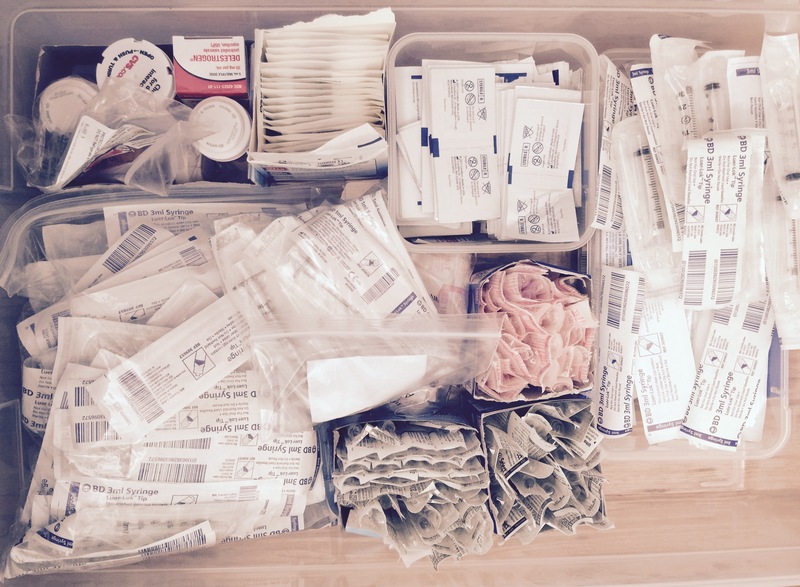 The next step was a biopsy where we hoped to eliminate the worst of the possibilities. But now the worst of the possibilities was all I could think about. After six weeks terrified of what this could be, we finally had an answer. It was simply benign, and random, and unexplainable. All those weeks of doctor appointments, and worry, and stress, and the distraction from bonding with my pregnancy was finally over. And I was fine. The relief I felt when my doctor called me on a Friday night to tell me I was ok was a wonderful moment and such a huge relief. I could feel my whole body rejecting the claws of tension that had held on so tightly for those long weeks. And I was so thankful. I could finally just enjoy this pregnancy and focus on this new little life. Now, it was just normal pregnancy doctor appointments and ultrasounds. My favorite, at approximately 11 weeks where we got to see so much detail of our growing baby and his cute little movements. 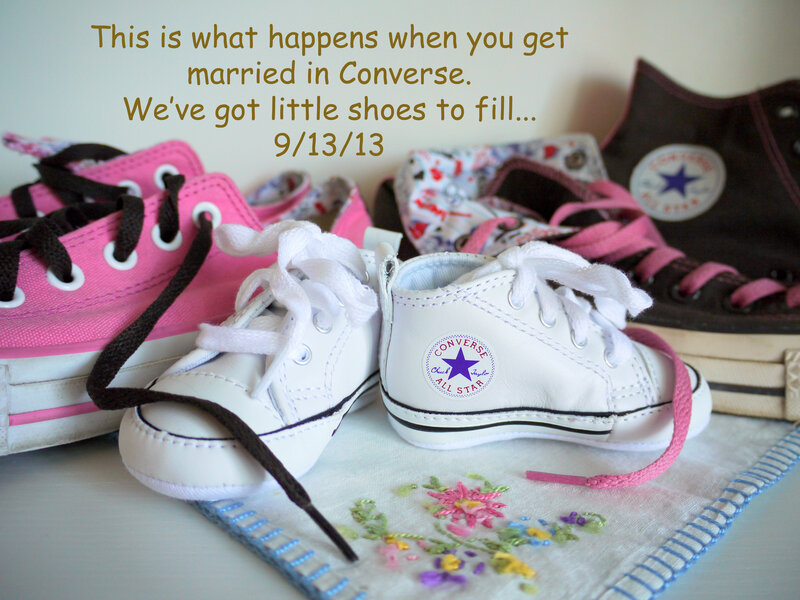 At about 13 weeks we announced our pregnancy to everyone. EVERYONE. We enclosed the photo attached to this post in our wedding thank you cards. A photo to quickly spread happiness to everyone nearest and dearest to us. However, the joy of sharing the news and the relief of transitioning to my second trimester of pregnancy was so cruelly short-lived. I started having problems right after 13 weeks and by 15 weeks he was gone. At the end of it all, with only a few ounces of perfection resting on my chest, I have never felt anything heavier sinking so deeply into my heart. The most precious, beautiful face I had ever seen. A cute little button nose and the littlest fingers and toes. And while my mind was still in shock in that horrific moment, I knew I had been given the biggest love I had ever known. Today I am thankful that I can still see his face and still feel that love from our baby named Jaxon. I know that for all that was so painfully stripped away from us that day, the love still remains. And when my husband speaks his name in heartfelt memory, I am thankful. For most of my cycles we have done a “controlled” cycle. This means that my cycle leading up to the embryo transfer is controlled by hormone injections (estrogen and progesterone). In the past I was able to try a natural cycle, which relied on my body’s own ability to manage my menstrual cycle and thickening of the uterine lining where there was minimal medication use. That worked one time, then the next try, my ovaries weren’t cooperating and we had to start over. In my controlled cycle, I start with a baseline ultrasound on day 2 or 3 of menstruation to check that the uterine lining is thinning and that there are no cysts developing on my ovaries. From there I start on Delestrogen intramuscular injections twice a week for a little less than two weeks. This also involves blood draws to check my estrogen levels and any necessary dosage adjustments. Another ultrasound is performed to check that the lining is thickening appropriately and to check that my ovaries are “quiet” and no cysts are developing. Then the progesterone injections start. My husband has become a pro at giving me injections. 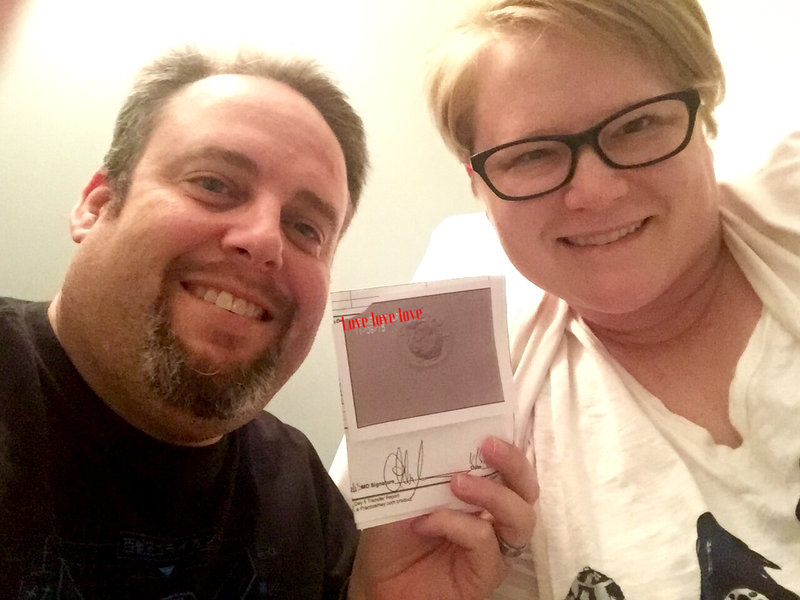 We went through IVF twice and have now made it through eight embryo transfers, plus a couple cancelled cycles. So, he’s really got this down. Here’s the cool thing about the controlled cycle. The progesterone injections (which are daily) are required for 5 days and on the 6th day, the embryo transfer occurs. This gives me and the doctor flexibility in scheduling the transfer because we can start the progesterone on the right day based on our schedules (well, mostly his schedule). Since we want to make sure we get to have “our” doctor for the transfer, we can make sure to set up the injection schedule accordingly as well as avoid weekends or holidays. Do glute and hamstring stretches to help the ethyl oleate part of the medication move through the muscles. This is what tends to build up. Even though the progesterone will get absorbed, the oil base of the medication can build up (yuck). Make sure you understand the full surface area available for the injections. 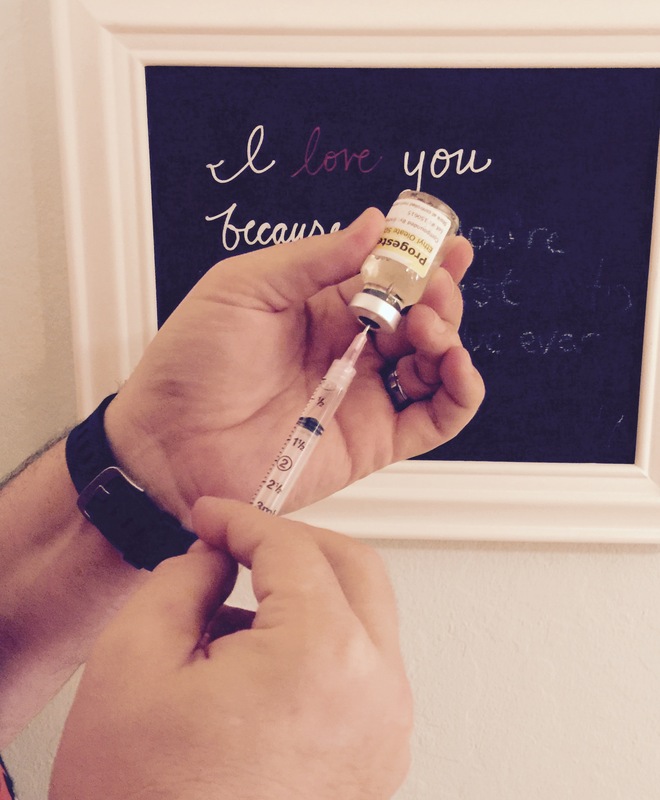 My husband had been using a smaller surface area which left us little real estate for repeated injections. After another session with a nurse, we discovered there was a bigger area we could use that was still safe. 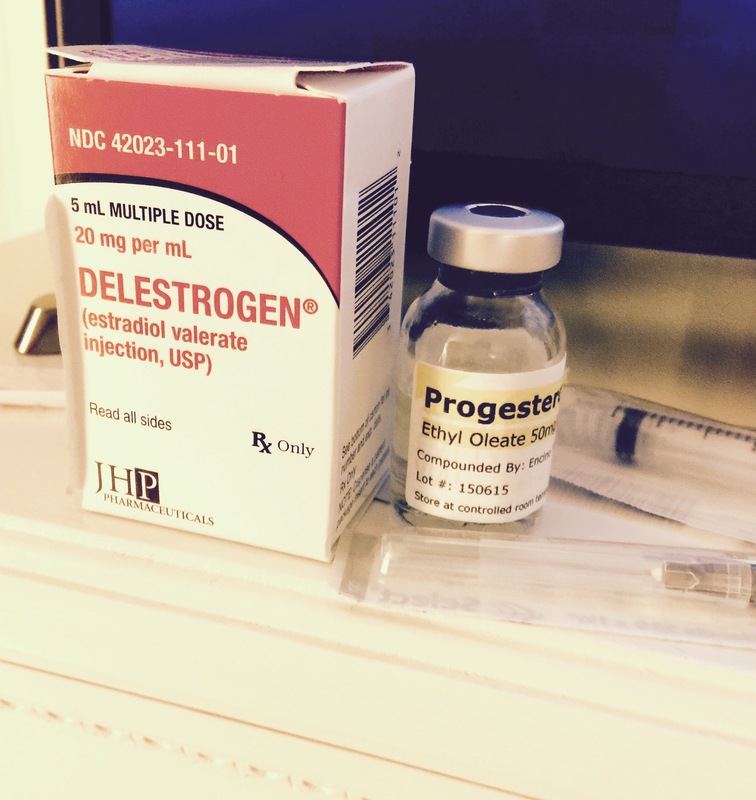 The embryo transfer occurs on Day 6 after starting progesterone injections. The procedure itself is a simple one and just a bit uncomfortable. This has to be done on a full bladder to help visually guide the small catheter on the ultrasound through the cervix and into the uterus. The ultrasound wand is pressed on the lower abdomen…yep, right over bladder territory so that’s the biggest challenge. After a couple of rounds of verifying our information and number of embryos to be transferred, we are then ready to go. It’s very exciting to watch the catheter on the ultrasound make it’s way into the uterus where you can see it as a very faint white line with slight movement. Then the embryo is released and it is slightly visibly as a white flash or very small blob on the ultrasound screen. After the embryologist checks the catheter to confirm it’s empty, we are then free from medical intervention and now it’s up to luck, a healthy embryo and lots of baby dust and embryo sticky vibes to implant and make this miracle happen. 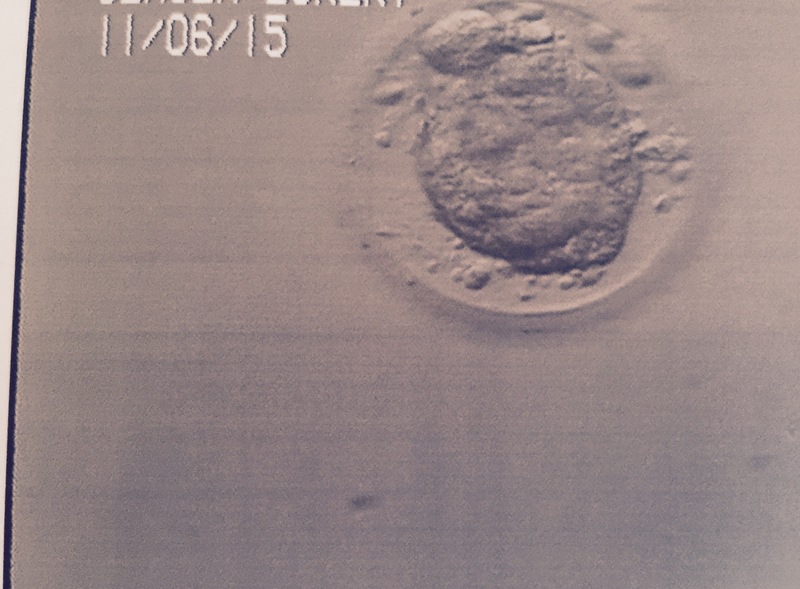 The embryologist brings us a photo of our little embryo and we get to feel hopeful and terrified for 10 days. We get some time alone with our little embaby photo and think positive thoughts. Since my husband is a huge Star Wars fan, there were a lot of good vibes with references to Jedi’s and the force awakening in my uterus. Maybe it will work. Our HCG blood test will be on November 15. We’ve been let down so many times. Please, please, please, let this be the one.